Seniors often stay healthier and happier when allowed to age in their own place of residence. However, there are many potential dangers in the home environment. Family members should assess the home and make a few changes if needed. Wet, slick surfaces raise the risk for falls. Ensure tubs and showers have nonskid appliques or mats to provide traction. Install grab bars in tubs and showers and on either side of the toilet. A shower chair can prevent falls while making getting into and out of the tub easier. A handheld showerhead enables older adults to bathe all areas of the body without needing to stand. The skin of seniors is thinner and more sensitive than younger adults. Thus, their skin is more likely to burn when exposed to hot water. Accidental scalding may occur when washing the dishes or during baths and showers. Consider lowering the temperature on the water heater so it is sufficiently warm without being too hot. 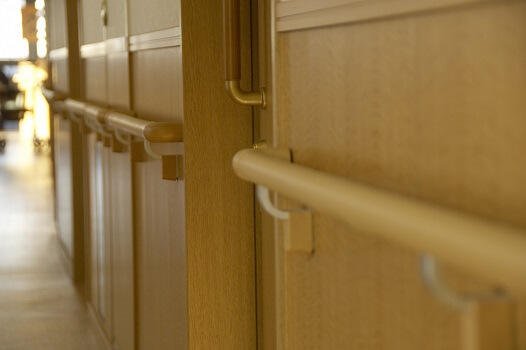 Falls remain a major concern for seniors. However, families can greatly reduce the risk by evaluating pathways throughout the home and in the yard. Make sure all of these areas are free of clutter or debris. Remove any loose area rugs that aren’t firmly adhered to the floor. Make sure furnishings are arranged in such a way that all areas of the room are easily accessible without possibly bumping into a table or tripping over items. Many older adults have visual impairment, which makes walking around the home at night a possible concern. Ensure all rooms have sufficient lighting by installing higher-intensity bulbs. Room lights are easier to manage when automatic switches are installed. Options include systems that merely require a clap, and motion sensors are ideal for overhead lighting. This way, seniors need not fumble in the dark looking for a light switch. Providing flashlights placed in different rooms is another way to ensure older adults have adequate light. Whether they need to use the bathroom in the middle of the night or desire a snack, having a flashlight handy ensures a safe trip. There are a variety of age-related health conditions that can make it more challenging for seniors to live independently. However, many of the challenges they face can be easier to manage if their families opt for professional home care. Clarksville families can rely on expertly trained caregivers to keep their loved ones safe and comfortable while aging in place. All stairways should have sturdy railings to help seniors stay balanced while going up or down the stairs. At night, portable nightlights installed on the wall beside the stairs prevent slipping or tripping. If seniors have difficulty with depth perception, applying a strip of contrasting tape on each step enables them to navigate easier. Many seniors take multiple medications requiring dosages throughout the day. Without the means of keeping track of which medications were taken and when poses a risk for missed doses or an accidental overdose. Compartmentalized medication dispensers filled for the week or month are a great way to prevent mishaps. Ensuring the safety of seniors while they age can be overwhelming for family caregivers. One of the most challenging tasks of helping an elderly relative age in place safely and comfortably is researching agencies that provide elderly care. Clarksville families can turn to Home Care Assistance for reliable, high-quality in-home care for aging adults. We offer 24-hour live-in care for seniors who require extensive assistance, and we also offer respite care for family caregivers who need a break from their caregiving duties. To talk to one of our professional Care Managers, give us a call at (931) 444-1950 today.